At the Amarillo Art Museum here in Texas, there are some wordly art works; a wonder to find in such a small southwestern city. 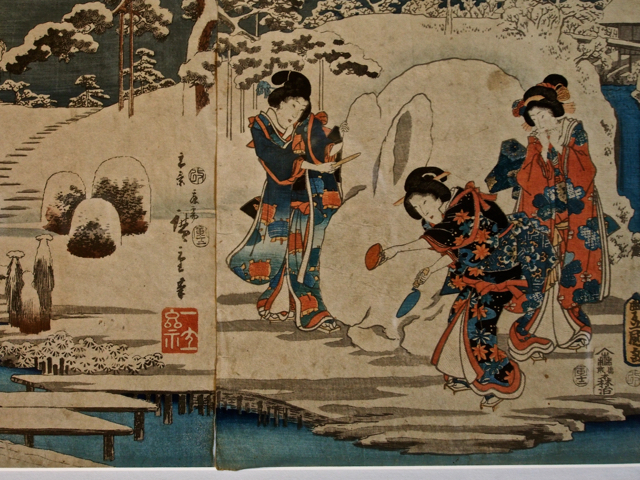 A delightful painting of Geishas sculpting a snow bunny made me realize that not everyone in the world makes snowmen out of snow. No thanks, I don’t even want to make an original snowman! Hope that part is over for this year.